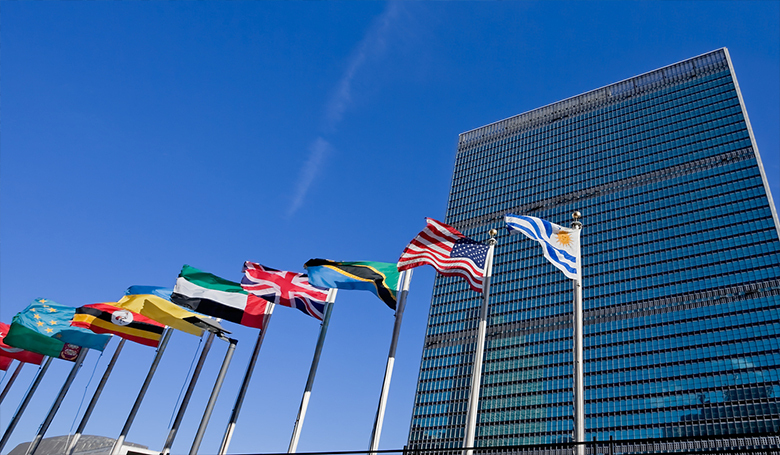 In October 2014 New Zealand was preparing for its two-year term on the UN Security Council. Meanwhile, Prime Minister John Key was making an unconvincing case for sending soldiers to Iraq in a training capacity to assist with the fight against the Islamic State. And unarmed civilians were being killed on a daily basis in eastern Ukraine by their own government’s forces with no comment from New Zealand. Back then I argued that “if New Zealand is to be a genuinely strong, independent, humanitarian voice in the next two years on the Security Council, then Wellington needs to grow a backbone.” Now that New Zealand’s two years on the Security Council are nearly up, what can we say about the role it has played? Has our seat at the table with the major world powers made any difference? What do we have to feel proud of? I pointed out in 2014 that Western aggression against Islamic State was exactly what Islamic State was hoping for, and that, with ghastly irony, the beneficiary would be Syria’s president Bashar al-Assad. I did not anticipate Russia’s entry into the fray on the Syrian government’s side in 2016, however. Russian and Syrian air-strikes on Aleppo will go down in history as one of the worst atrocities of our times. In its one-month turn as president of the Security Council in September 2016, New Zealand, to its credit, put Syria on the table for debate. While New Zealand couldn’t be blamed for the failure to stop the slaughter of civilians, the unpleasant fact is that New Zealand was at the head of the table, feeling “deeply disappointed”, as the “horror” unfolded. Tragically, no resolution to stem or cease the aerial bombardment was agreed to on 8 October, thanks to Russia vetoing a proposal from France and Spain, and the majority of members voting against Russia’s counter-proposal. New Zealand voted in favour of the former and against the latter. As I write this, a viable ceasefire looks unlikely in Aleppo and the civilian population of Mosul is in peril. Islamic State remains an effective force in Syria and, for the time being, in Iraq. The humanitarian disaster continues in Yemen, and there’s no pathway to peace in Palestine/Israel. The last two years have been grim – and the New Zealand team at the UN are not looking like the All Blacks of world peace. What about Ukraine then? There has been a ceasefire, although not always observed. The conflict remains frozen around a de facto border that separates the self-proclaimed “People’s Republics” of Donetsk and Lugansk from the rest of Ukraine (minus the Crimean Peninsula). The Minsk-II ceasefire agreement of 11 February 2015 was struck by the leaders of Ukraine, Russia, France, and Germany, and is overseen by the Organization for Security and Co-operation in Europe (OSCE). This was achieved outside of the UN Security Council, so New Zealand had nothing to do with it. Foreign Minister Murray McCully issued a statement a couple of weeks prior, condemning an attack on Mariupol at that time. But the killing of civilians had been going on for months before. What took him so long? It looks like he was waiting for an attack that could clearly be blamed on the separatists rather than the Kiev government’s forces or their ultra-right paramilitary units. The Security Council’s ineffectiveness is often blamed on the power of veto held by each of the five permanent members – an arrangement that reflects the post-World War II situation in which the UN was formed. New Zealand had wanted to make some progress towards revising this important feature of Security Council procedure in order to address the UN’s ineffectiveness. But that was always going to be unlikely. Without a veto, the five major powers would probably ignore or abandon Security Council processes whenever resolutions they don’t like come up. Their veto-card at least keeps them in the room, even when their tempers fray. Security Council processes are reputed to be scripted and theatrical. Genuine face-to-face dialogue is impossible when the world is watching and policy-makers in distant capitals are sending instructions. In an interview with Kim Hill, New Zealand’s Permanent Representative to the UN, Gerard van Bohemen, suggested that this country’s main achievement was getting the representatives together over breakfast to review the agenda for the month ahead, unscripted and off-the-record. Although New Zealand, like others, was left frustrated at the failure to achieve real progress in conflict resolution – let alone prevention – while on the Council, he felt that this country was regarded as credible and had strengthened an already good reputation. Some advantageous relationships were formed, we were told. Such diplomacy is nice work, I’m sure. But New Zealand did not put itself up for membership of the Security Council only for the sake of looking good and making new friends. According to Mr van Bohemen, New Zealand went in wishing to make a difference. It’s true that New Zealand was up against much bigger forces, and is not to blame for the tragedies that unfolded on the world stage in 2015 and 2016. So I wouldn’t say that New Zealand was spineless. Then again, we were at the top table; we failed to make a difference. That’s now a page in our history. 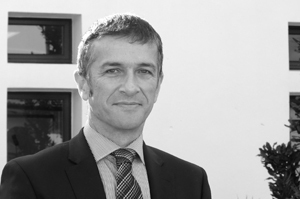 Dr. Grant Duncan is an Associate Professor in the School of People, Environment and Planning, at Massey University. Professor Duncan teaches public policy and political theory at the Albany campus of Massey University and is a regular media commentator on New Zealand politics. He is a social scientist and author of many academic publications on social policy, public policy and public management in New Zealand.